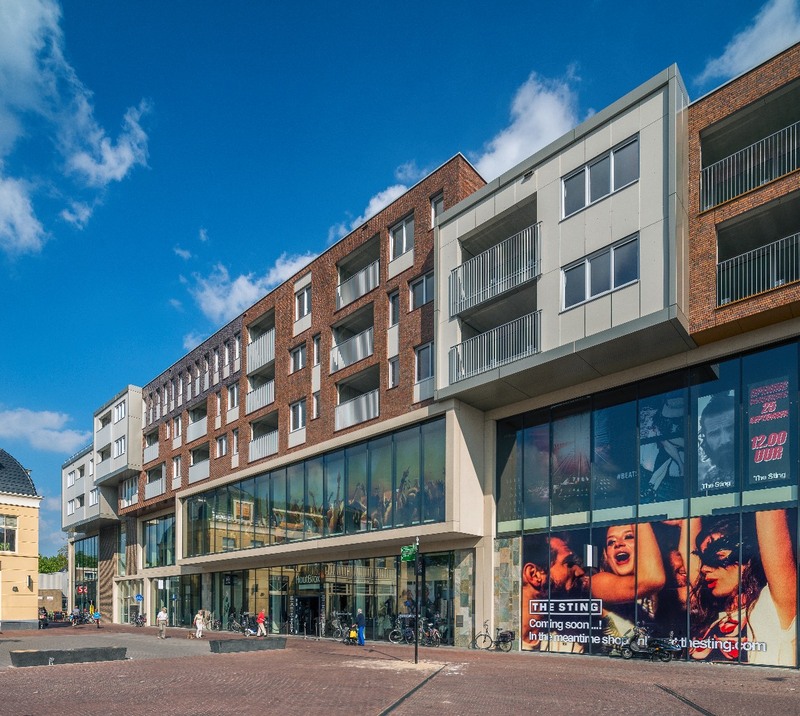 The Raadhuisplein is the central urban square in Drachten, a middle size town with a regional function in the North of the Netherlands. 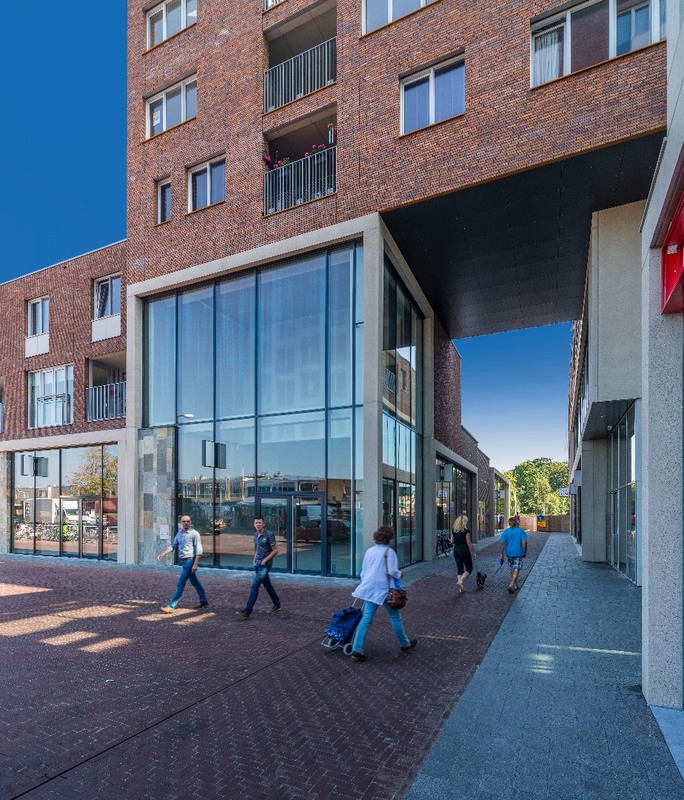 The current development of shops and dwellings, a design by Van den Broek & Bakema, did no longer meet contemporary needs. 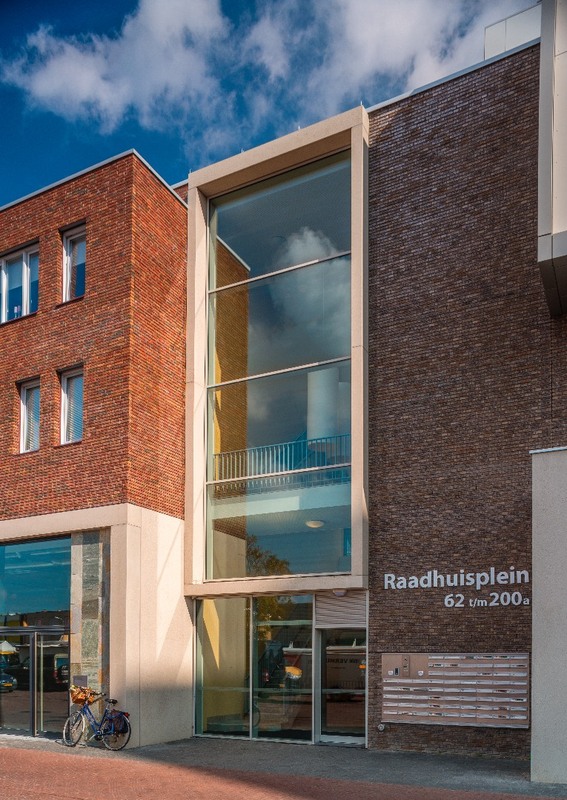 Tangram won the selection for the complete transformation of the center with an urban and architectural analysis- being a mix of new construction and reconstruction. The result is a complete make over for the towns heart. The area is bipolar in character. 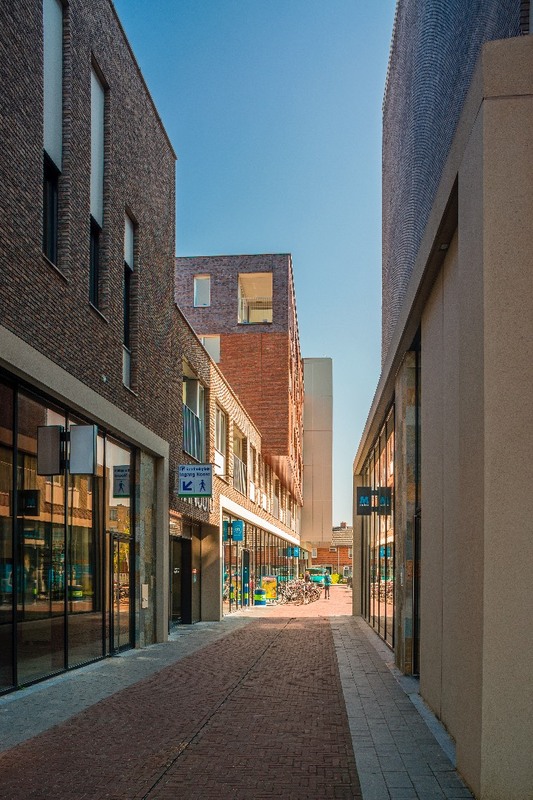 To one side is the Raadhuisplein area with its small-scale character. 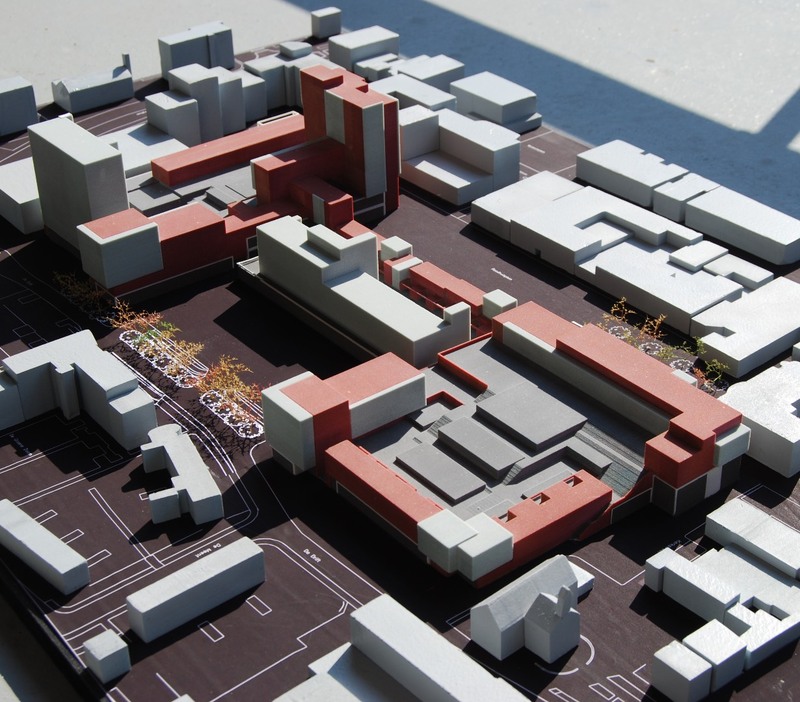 By contrast, the atmosphere of the Drift area is determined by existing large-scale development from the 1960s.. The bipolar character was decisive in the design of volumes and the façades. A fragmentation of the scale at the small town side and a larger scale at the other; the plan thus forming a new transition between the attractive old part and the newly built eastern part of the town. 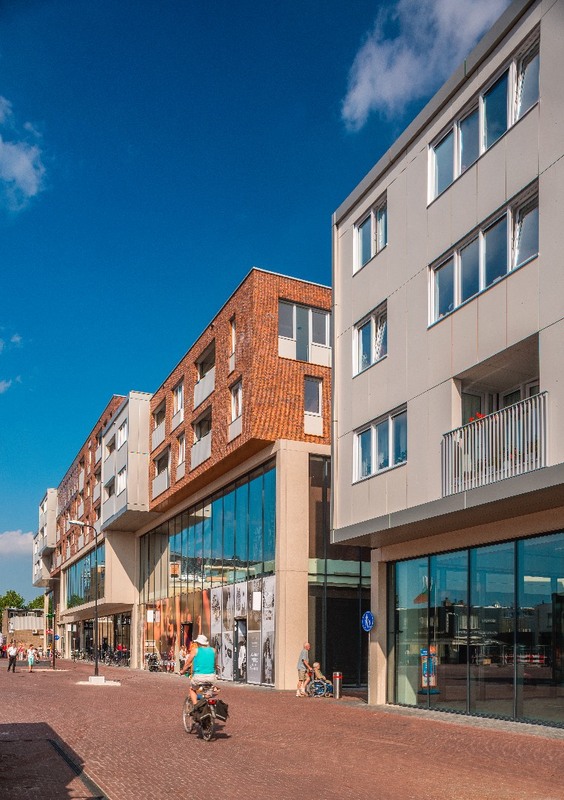 Treatment of facades follows the same principle: the arrangement of the façades to the Raadhuisplein side refers to the small-scale fragmented character , the other side is in tune with the ‘Nieuwe Bouwen” existing blocks by Van den Broek & Bakema. The unbuilt space in between forms an integral aspect of the design. 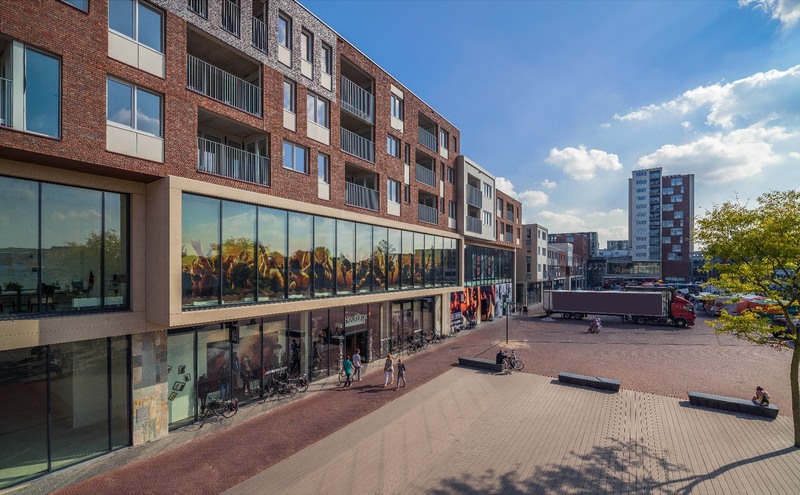 Well-designed public spaces turn the Raadhuisplein area into a pleasant residential and shopping area. 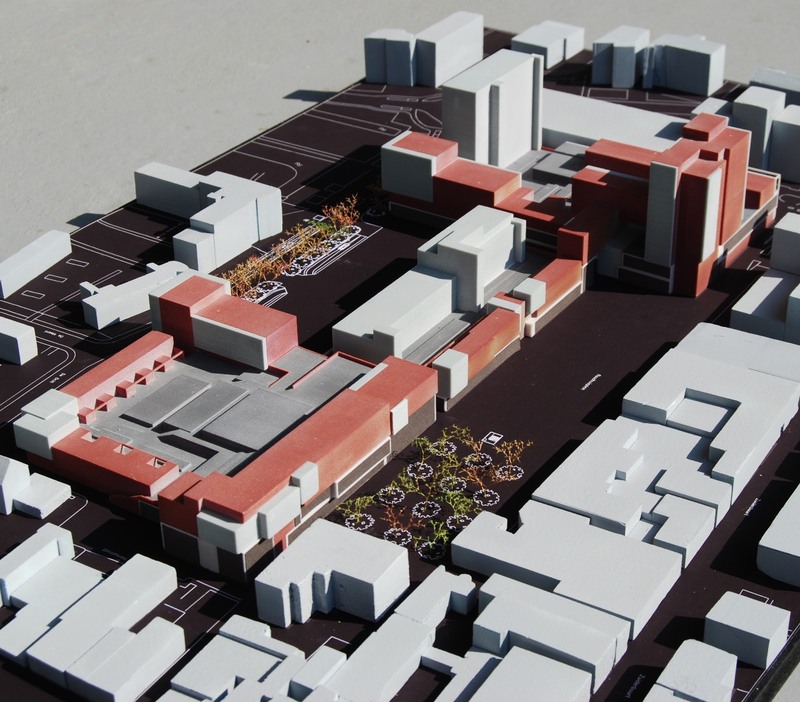 An underground parking garage below the whole plan area should absorb all traffic into the area. 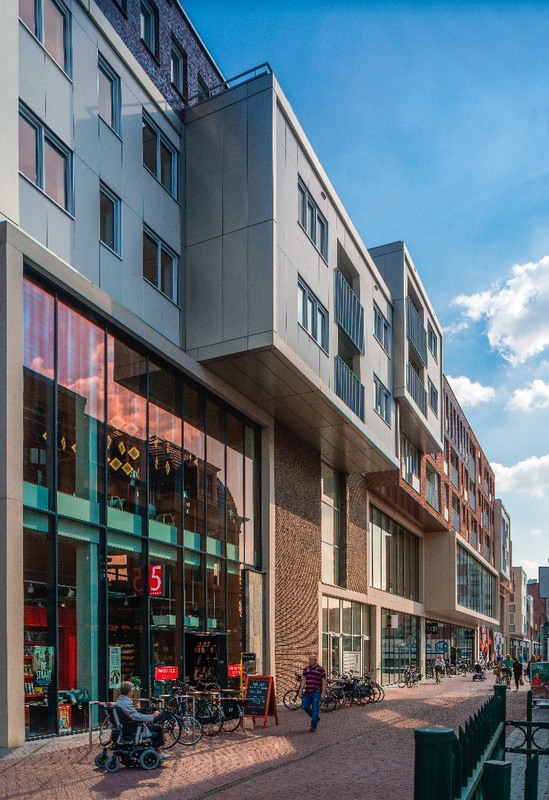 Most interesting might be the stacking of residential units on top of the large scale modern shopping spaces: a full public space with park like interior giving access on several different levels to a variety of housing units.